There are several things that Thailand is famous for, but perhaps its beaches and its nightlife are two of the main reasons why this country attracts so many visitors each and every year. 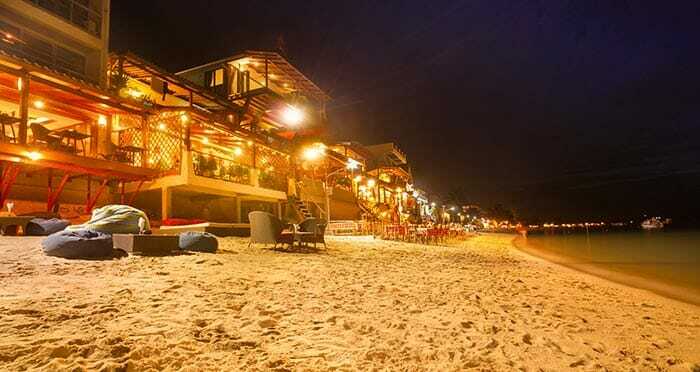 If your idea of a Thai vacation is to spend your days on the beach and your nights out socializing, there are two destinations you should definitely visit: Pattaya and Koh Samui. Pattaya’s reputation as a partying resort has made this city famous around the world, with entertainment and clubs open 24 hours you’re not limited to partying just in the evenings! Walking Street is abuzz all day and night, and there are some excellent beaches here too. After living it up in Pattaya, Koh Samui will seem quiet by comparison but there’s still plenty of nightlife and entertainment here too, and the beaches are absolutely fantastic, plus there are some incredible temples to visit too, to get your fix of local culture. The only thing that might put you off of traveling from Pattaya to Koh Samui is the distance between them. If you go by land and water, it’s about 890 kilometers (556 miles) as you will have to go around the northern coast of the Gulf of Thailand, then travel south to Surat Thani, and then catch a ferry over to Koh Samui. As you might expect, this is a long journey, but totally worth it! Traveling from Pattaya to Koh Samui this way you have options for buses, vans and ferries, and even a train, but, to substantially reduce your travel time, many tourists choose the easy option, a flight. We’ll discuss the pros and cons to each of these below. While most of the Thai islands do not have their own airports, Koh Samui is one of the larger islands and it does have its own airport. This makes traveling here by air very easy as you don’t have to worry about making connections onto ferries from the mainland. 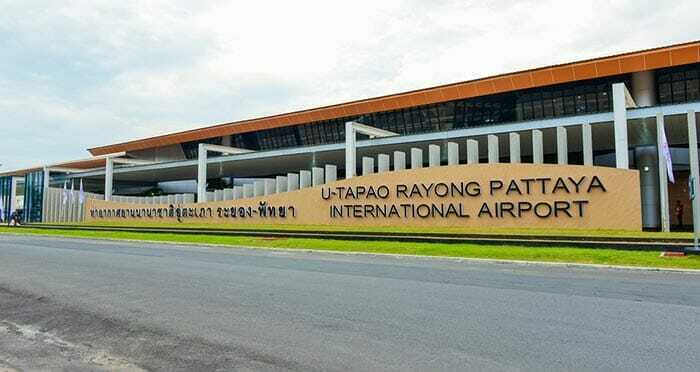 Pattaya also has its own airport, the U-Tapao International Airport, and with flights between Pattaya and Koh Samui this does seem to be by far the easiest way to get from A to B. However, the ease and speed comes with an additional expense that makes flying the most expensive way to travel, and it is considerably more money when compared to the other options. One reason why it costs so much is that only Bangkok Air offers flights from Pattaya to Koh Samui so there’s no competition between them and other airlines. This means that Bangkok Air can essentially charge what they like, within reason. But, for the extra cost, you arrive in Koh Samui in just over an hour, and when you add in the time it takes to get to U-Tapao Airport, and then to transfer from Koh Samui Airport to your resort, you’re still saving a considerable amount of time over the other transport options. Flights with Bangkok Air do include baggage allowance of 20kg though, so this saves having to worry about the extra cost of checked baggage. 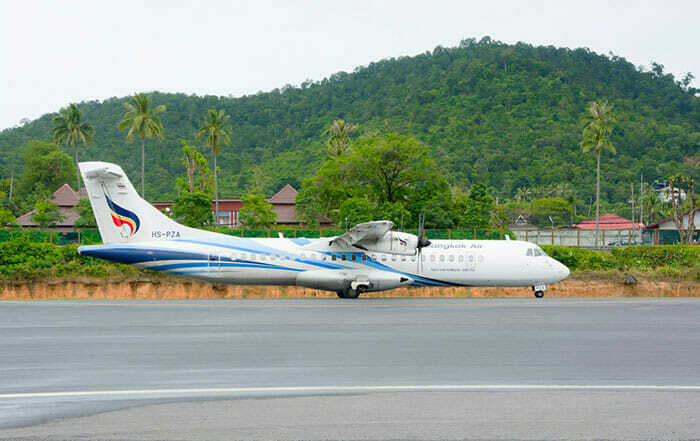 Apart from the cost there is one other drawback to flying from Pattaya to Koh Samui and that is that there is only one flight per day. This in itself may not be a problem as you can buy your tickets online from 12Go.asia and then plan ahead, catching a flight from Pattaya at 5:15pm and arriving in Koh Samui in time for dinner. Because of the large cost savings, many travelers choose to take the bus and ferry from Pattaya to Koh Samui, however, you should consider this option carefully because it takes a substantial amount of time. This makes it unfavorable for families, or anyone who does not like being in confined spaces for a long time. Even so, there are other advantages to traveling by bus and ferry: most buses will travel overnight so in a sense you’re saving yourself the cost of another night in a hotel room, but, if you have trouble sleeping anywhere but a comfortable bed, you’re unlikely to get much sleep on the bus. Buses are also better for fitting in with your schedule as there are more departures in a day than there are flights, so this may work to your favor. 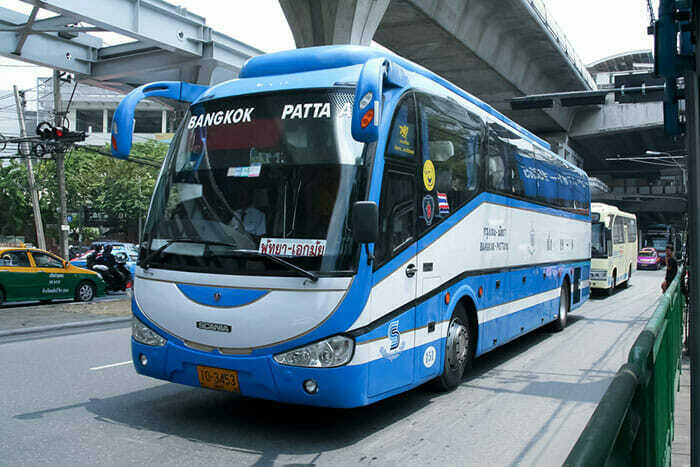 There are a number of different bus companies who operate along this route, but whoever you choose to travel with be prepared for a transfer in Bangkok. You should also choose carefully because sometimes you will have to transfer a considerable distance from where you get off the bus in Bangkok to catching the bus for the next part of your journey and this could involve the extra expense of a taxi. Take a look at the travel website 12Go as they give details for several options to get you from Pattaya to Koh Samui, clearly indicating when a transfer is required and how long it should take. You can also book your joint tickets on this website, giving you both the bus and the ferry tickets. It’s also possible to book independently for some bus companies. Yellow Bus, for example, has a good reputation and their Rayong to Koh Samui route travels through Pattaya, allowing you to get on the bus there. Once at the ferry terminal you will have to buy your ferry ticket, as you cannot get combined tickets through this company. With Yellow Bus or Rong Rueang (another bus company) you’re looking at a total travel time of around 15.5 hours plus 1.5 to 2 hours for the ferry crossing. Traveling via Bangkok can add a considerable amount of time to your trip though. Another option, if you enjoy taking things slow, is to travel by van, train, bus and ferry. Adding the train ride in is a great experience if you’ve never traveled by train in Thailand, but you’re looking at a total travel time of around 23 hours. Joint tickets to cover all aspects of this journey can be bought online through 12Go, if you’re interested in getting from Pattaya to Koh Samui this way. If you have the money, we would recommend the flight because it’s just so much easier, but if you’re feeling adventurous, want to see more of Thailand, and you have the time to spare, opt for the bus and ferry.